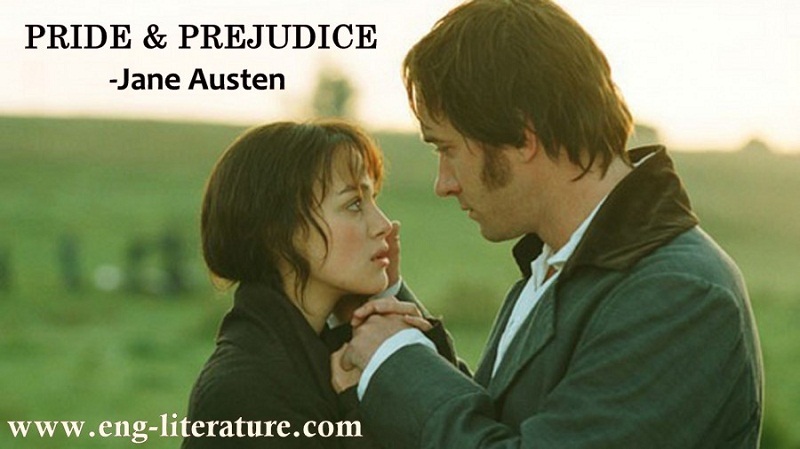 British Literature Novel Consider How Far the Title of Jane Austen's Novel, "Pride and Prejudice" is Justified? Consider How Far the Title of Jane Austen's Novel, "Pride and Prejudice" is Justified? The two pivotal characters are both guilty of pride and prejudice and must learn the errors of their ways before they can live “happily ever after”. Elizabeth Bennet, Austen’s heroine, believes herself to be a very shrewd judge of character, but her pride allows herself to fall victim of her own set of prejudices. On the other hand, Darcy is proud of his refinement and superiority of social standing. This leads him to a general prejudice for all those below his social status. The novel is about the pride of Darcy and the prejudice of Elizabeth caused by their mutual misunderstanding. Earlier in the novel, Mary describes Pride as “…a common failing. Human nature is particularly prone to it”. Mr. Darcy stands as the most obviously proud character. Wickham tells Elizabeth that he has a ‘filial pride’ and we tend to agree with Mrs. Bennett’s complaint that “He walked here and he walked there, fancying himself so very great”. His haughty manners at the ball gave people a very bad impression of his personality, especially Elizabeth, whom he considered as “tolerable; but not handsome enough to tempt (him)”. Lady Catherine, Miss Bingley and even Elizabeth Bennett constitute the other proud characters. While Lady Catherine’s patronizing behaviour and Miss Bingley’s rudeness are due to their social class, Elizabeth can be deemed proud on the account that she has high respect for herself and this is best displayed when Elizabeth refers to Darcy: “And I could easily forgive his pride, if he had not mortified mine.” Being rejected by him at the ball, her prejudice mounts up and from the start; she willfully misinterprets all his utterances and actions. Darcy’s pride stemming from the superiority of intellect, his noble ancestry and his enormous riches prejudices him strongly against Elizabeth’s family and her low connections. Although “he had never been bewitched by any woman as he was by her”, Darcy feels beneath his dignity to admit to his love for her. Even when he can repress his feelings no longer and does propose to Elizabeth, “he was not more eloquent on the subject of the tenderness than on pride”. He is considerably humbled when he is rejected without ceremony, and Elizabeth’s words “had you behaved in a more gentleman like manner” and her criticism of his self-conceit affects him deeply. In fact Darcy’s letter introduces in Elizabeth the same self-criticism that Darcy too undergoes. Thus Elizabeth realizes her folly in trusting her first impressions and states, "how despicably have I acted. I, who have prided myself on my discernment! - I, who have valued myself on my abilities." To sum up, the title, Pride and Prejudice very aptly pins down to the theme of the novel. The two protagonists have been tangling with pride and prejudice throughout the novel. They also struggled to put down their pride and get rid of their prejudice. However, to say that Darcy is proud and Elizabeth is prejudiced is to tell but half of the story. The fact is that both Darcy and Elizabeth are proud and prejudiced. The novel makes clear the fact the Darcy’s pride leads to prejudice and Elizabeth’s prejudice stems from a pride in her own perceptions.